PGSRM Planning Committee, left to right: Sang Kim, Joe Bazzill, Emily Morin, Nick Job, Katie Cavanagh, Phil Rzeczycki, Lindsay Sheetz, Nick Waltz, Jenna Walker, Brian Thompson, Alex Benet, Morgan Giles, Nathan Truchan, Ila Moncion, Vernon Lalone, with keynote speaker Dr. Leslie Benet (center). 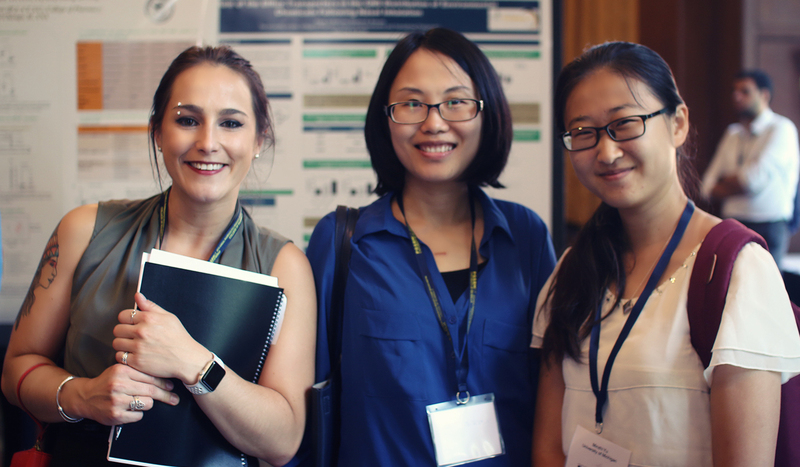 The University of Michigan had the honor of hosting the 49th Annual Pharmaceutics Graduate Student Research Meeting (PGSRM), themed: Exploring Future Frontiers in Pharmaceutics. Over 100 graduate students from twelve Midwestern universities were joined by representatives from ten companies and organizations. Speakers included Dr. Leslie Benet (University of California, San Francisco), Dr. Lawrence Yu (US Food and Drug Administration), Dr. Rao Mantri (Bristol-Myers Squibb), and Dr. Gus Rosania (U-M). U-M hosted this event for the fourth time (1987,1992, 2008, and 2017). 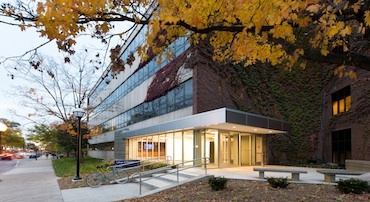 PGSRM is organized and run by graduate students at different host universities across the Midwest, for the benefit of their fellow graduate students. Attendees have the opportunity to present their research to their peers and receive valuable feedback. This year there was 16 podium presentations and 61 poster presentations by students from 12 different universities. First, second, and third place for each presentation type were awarded based on peer judging from conference attendees. 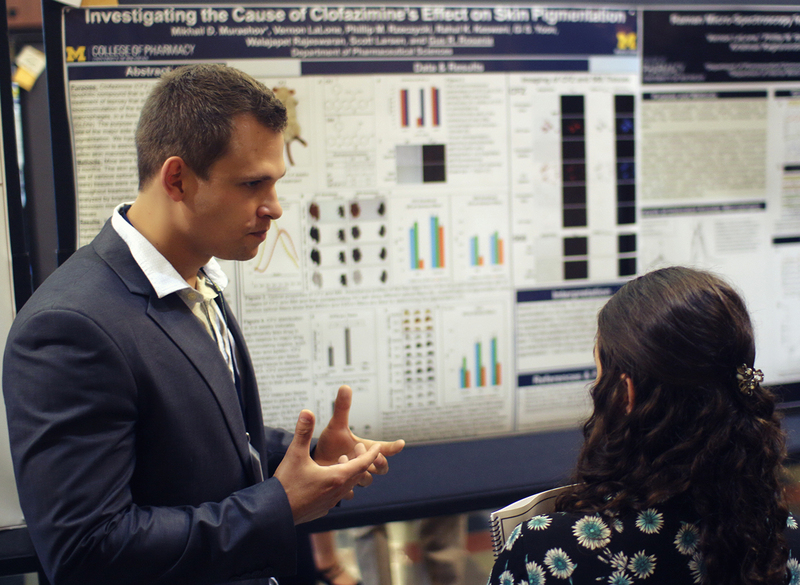 Joseph Bazzill (U-M) took first place for his poster, stating, “it’s an honor to have won for my work on lipid-based nanoparticles loaded with Hepatitis C virus glycoproteins.” Michelle Pizzo (University of Wisconsin- Madison) took first place for her podium presentation. The event’s success would not have been possible without the support of AAPS and other sponsors. Thank you for the hard work and diligence of each member of the planning committee and administrative staff in the College, particularly Jan Mitchell and Jenn Rohl.